If you were following the news out of NYCC last week, you may have already heard the big news: Netflix has acquired the global streaming rights to ‘The Expanse.’ Beginning on November 3rd fans will be able to stream the first season except the USA, Canada, and New Zealand. US viewers will be able to stream via Amazon Prime in December. More info to come on availability in Canada, and New Zealand. Flip and burn on whatever you are doing and go to SyFy right now to watch the first four episodes! 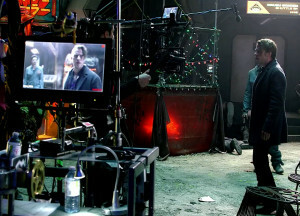 Watch the first episode of The Expanse in Canada! 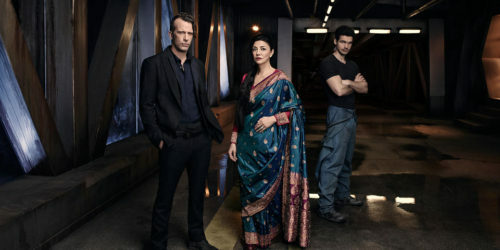 The first episode of Syfy’s The Expanse can now be viewed by Canadian audiences on YouTube and Space.ca. Thanks to the folks at Syfy, we’re thrilled to present the first episode of The Expanse! Enjoy! Let us know what you thought in the comments or over on the James S. A. Corey Facebook page. You can also explore the solar system in greater detail at Syfy’s “Enter the Future” website. UN / MCRN / OPA / Tycho / Star Helix websites are open for registration. There’s only five days remaining until the digital launch of the series! In the meantime, explore the world of The Expanse by visiting the websites below. If you are looking for a place to chat with other fans of the series about the upcoming television show, check out the great discussions happening at /r/TheExpanse on Reddit and The Expanse Wiki at Wikia. For those in the Santa Fe area on Dec. 3rd, there will be a special book signing and screening of the first two episodes of The Expanse at the Jean Cocteau Cinema. The action starts at 4PM. Details here. Curious about the process of adapting a book series for television? 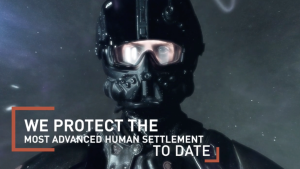 Book Riot has an exclusive video from Syfy detailing the process. With a ton of interviews and new footage from the show, it’s a great feature that will get you pumped for The Expanse and thinking about squeezing in a reread of the books before the premiere. But you’ll want to start rereading Leviathan Wakes today, as the big day will be here before you know it. Seriously, it’s right around the corner! Starting on November 23rd you’ll be able to watch the first episode via Syfy On Demand, Syfy.com, the Syfy Now App, Hulu, Amazon, Google Play, Vudu, iTunes, Playstation, Xbox, Facebook and YouTube in advance of the cable premiere. In case you missed some of the previous backstage videos, you can watch them all at Syfy.com. We really recommend checking out “Worlds of the Future.” It’s got some great footage from the sets you’ll see in the show. The Expanse comes to New York Comic Con! New York Comic Con starts today and if you’re attending, you’ve got to check out the Expanse panel. Syfy will be screening the first episode with a Q&A to follow. The screening starts at 4:00 PM in the Pepsi Perfect Theater (Room 1A06). 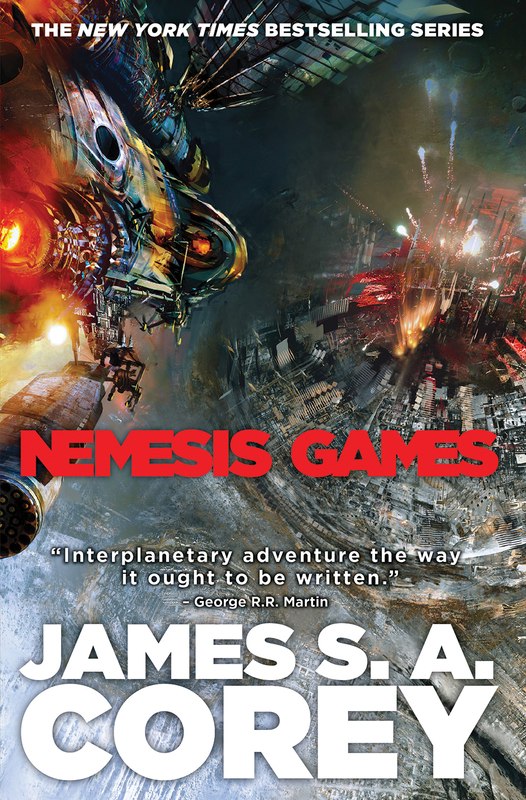 Orbit is also offering a show special on the first two Expanse books. Purchase Leviathan Wakes and you’ll receive Caliban’s War for free, while supplies last. So if your old copies are getting worn from all those rereads we’re sure you do, this is a great opportunity to replace them. It’s also a good time to get your friends hooked on the series and maybe get a little holiday shopping out of the way early? Orbit’s booth is located at #2218. It’s listed as Hachette Book Group in the guide in case you get lost. Off to San Diego Comic-Con! 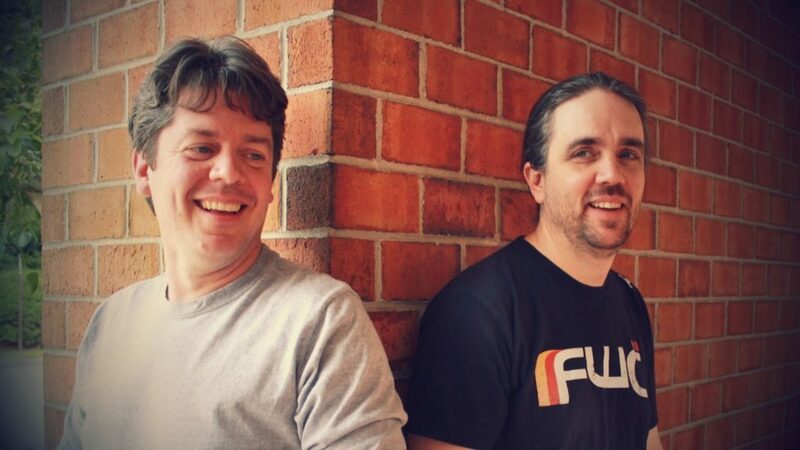 Come meet Daniel Abraham and Ty Franck, the writing duo behind James S. A. Corey, at San Diego Comic-Con next month! Here is their schedule of events for those of you who are planning to attend. Holden and crew are back in the fifth breakneck installment of the Expanse series! Purchase it today wherever books are sold. Ships are disappearing without a trace. Private armies are being secretly formed. The sole remaining protomolecule sample is stolen. Terrorist attacks previously considered impossible bring the inner planets to their knees. The sins of the past are returning to exact a terrible price. And as a new human order is struggling to be born in blood and fire, James Holden and the crew of the Rocinante must struggle to survive and get back to the only home they have left.